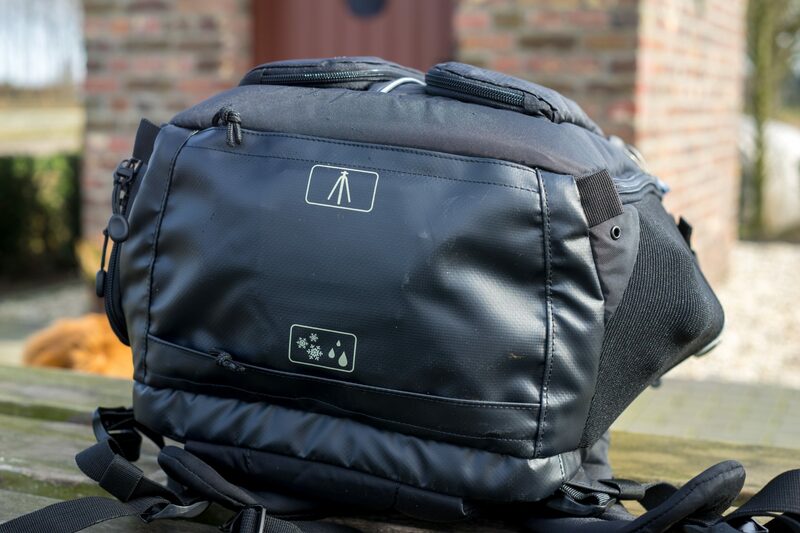 This review is about the Tenba Shootout 24L backpack camera bag. 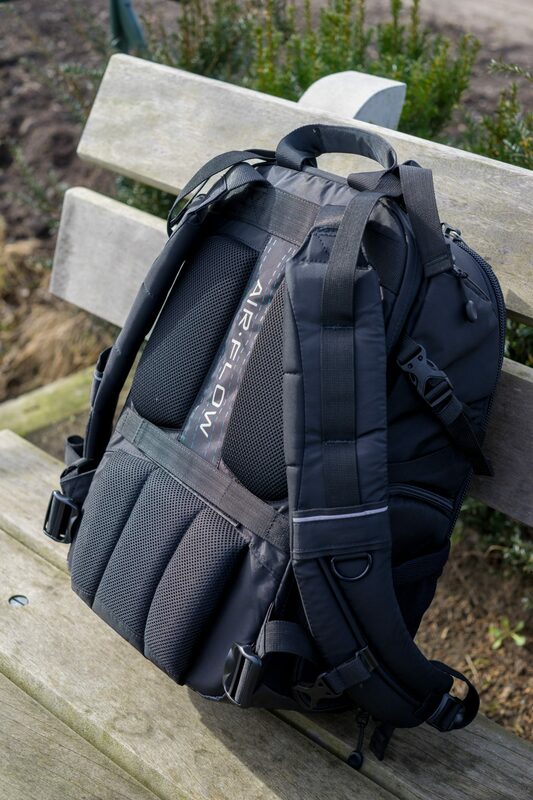 A high end, compact but also very spacious backpack. Tenba has designed the Shootout series to be comfortable for active users who take long hikes, city trips or plan to take their camera gear on active explorations. The 24L is the mid-sized backpack, from the outside it looks compact, but it can hold an surprising amount of gear, and it has got loads of smart details. Read the full review to find out all about it. 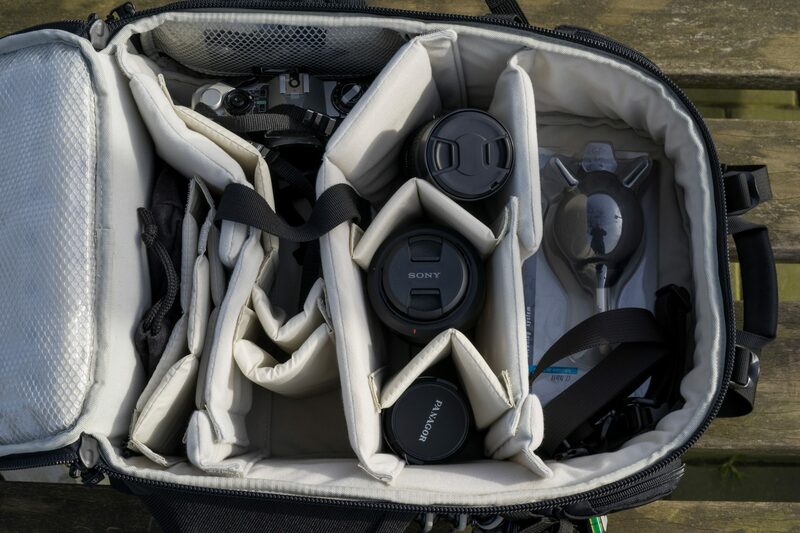 Even if you have a small and light mirrorless camera with a few lenses you need a good bag to lug your stuff around. I have been doing that in my Crumpler shoulder bags, which are small, light and quite durable. My setup has been growing recently. I started out my mirrorless journey with just the camera with the kitlens and one vintage 50 mm lens. But I’ve added a 24 mm and an 135 mm lens, and have been thinking about getting a small flash and a second Sony FE-mount prime. Even without the flash and extra FE-mount lens my Crumplers aren’t big enough to take all my stuff. Going out feels like a first world version of Sophie’s choice, which of my babies do I have to leave at home? I do have a big Manfrotto bag, but that is bulky, heavy and uncomfortable so it compromises everything I gained by going small and mirrorless! There are bigger shoulder bags, but the bigger ones aren’t comfortable and lugging all the weight on one shoulder the whole time isn’t a great idea if you care about your spine. I’ve been on a camera backpack reviewing spree to find the perfect bag to use with a mirrorless setup. In this review I’ll tell you more about the Tenba Shootout 24L, I’ll add two more reviews about the F-Stop Gear Millar Tijuana (click here to read my review about the F-stop Tijuana) and the Lowepro Photo Hatchback 16L AW soon. 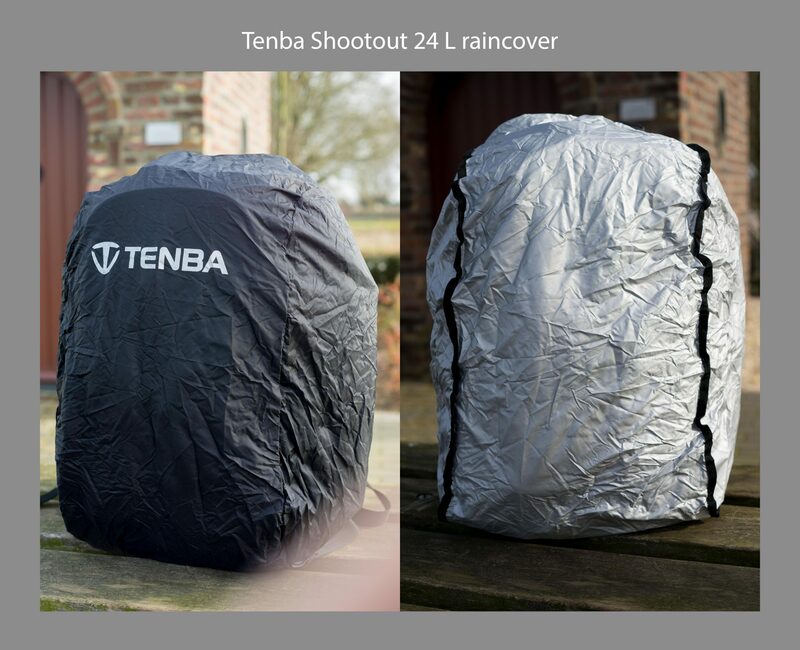 Enter the Tenba Shootout 24L. Tenba is a camera bag brand from The States, famous for creating smart and high end camera bags. In Europe the brand isn’t as well-known as Lowepro or Crumpler, but that doesn’t mean it isn’t worth checking out. Tenba has got several lines of camera bags, from small to very big and from casual to professional transport cases. The Shootout series is about high quality and built to be used for long periods at a time. 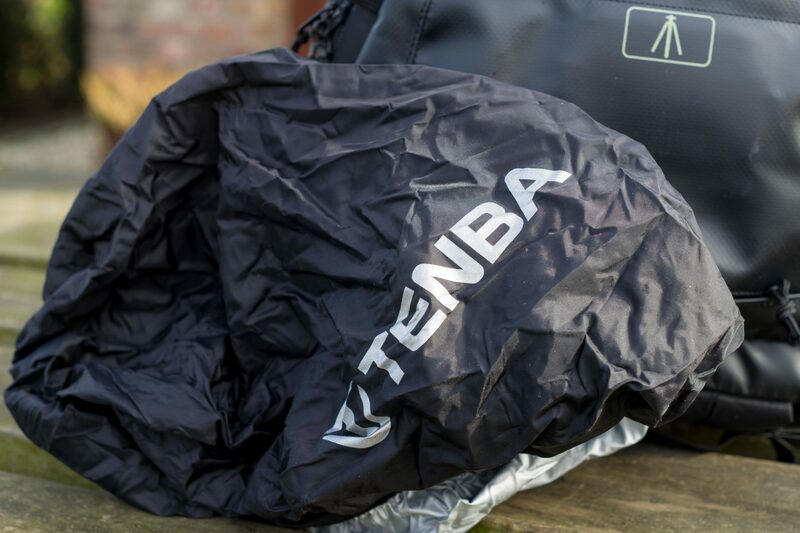 Tenba has added all the essentials you need for hiking or travelling with your gear, but keeping the look plain (but not boring) so you don’t attract any unwanted attention. It doesn’t scream camera bag like some Lowepro’s do. Tenba said they were trying to design the most comfortable bag in the world! Well, that may just be American bluff, but they certainly did try. I have been using this bag for some time now, and I’m still finding new smart little details that make this bag more useful, comfortable or safer. I’ll try to walk you through the highlights, starting at the top. I’ll add photos of the details where I can. Starting at the top the first thing you’ll notice are the shoulder straps. Tenba calls them Pivot-Fit, that’s their name for straps that are attached to the top of the bag with a more flexible and unpadded section, so they can adjust to every body size. This works very well, I’m a big and long guy (188 cm or 6 feet 3 inches for the imperial readers) and even when I’m wearing my thick padded winter coat the straps fit comfortably over my shoulders. The straps are padded with a thick and soft material, that doesn’t slip from your shoulders. The back is made of a mesh material with differences in the thickness of the padding. This keeps some sections of your back (like your spine) free with an air channel, so fresh air can flow to keep you cool. The mesh also works to keep your back ventilated, preventing you from sweaty-back-syndrome. The bag also has an adjustable waistband to keep it steady. I don’t really like to use those, I don’t like the tight strap around my waist. Luckily the waistband can be removed, its attached to the bag with clips and Velcro. On the left there is a small pocket, about big enough for a smartphone or spare batteries. On the right side there is a pocket of about the same width, but this stretches over the whole height of the bag. This can be used to store a tripod or other long and thin accessories. On both sides there are mesh pockets with stretchy material you can use to stow a water bottle or small tripod like my Gorilla pod. On the left side you can also find the zipper for the laptop compartment. The laptop is tucked away against the back of the bag, so the weight is close to your body. Tenba recons you can fit up to a 15 inch laptop in the bag, unfortunately my 15 inch Asus N56 doesn’t fit as it is a little too wide. So check if your laptop fits before you buy it, you can find the size of the compartment in the specifications on the Tenba website. If you have a large 15 inch laptop or a smaller 17 inch model you can always upgrade to the Shootout 32L which is a little bigger. On the front of the bag there is a big and padded compartment you can use to store a tablet, and there are some extra pockets for small stuff. Under the big tablet compartment there are two smaller zippered pockets on the front with mesh pockets. In the right one Tenba has put a little pouch for SD-cards. The SD-card pouch is attached to the bag so you can’t lose it. One little detail I really like is the mesh ‘safety nets’ in the bottom of the pockets that prevent small stuff falling out when you open them. That’s one of those little details you don’t get on cheaper bags, and you’ll probably never need them, until they prevent you from losing a SD-card with your vacation photos. On the front there is a reflective stripe, so they thought about your safety as well. By now you have noticed I’m still telling you about the outside of the bag, and I’m not even ready! Normally the bottom of a camera bag isn’t all that interesting, but Tenba has even put some smarts on this side. The bottom is made of a very durable rubber-like material, that will keep water and dirt out of your bag. You don’t have to worry about your bag getting dirty when you put it down in the dirt or on a wet surface. Tenba uses this material on all of their bags. When the bottom does get dirty you can easily clean it with a wet cloth. On the bottom of the bag you’ll find the tripod-holder tucked away behind a small zipper. Further to the back you’ll find the rain cover. Even though the bag is made of waterproof material they added a cover for the days it’s really wet. You’ll find a rain cover on more high-end camera bags, but this one is two-sided. The ‘normal’ side is black with only a subtle Tenba logo on it. The other side is reflective silver. This side reflects heat, so you don’t have to worry about your gear overheating when you are walking in the burning Mediterranean sun. Tenba has used high grade materials for the Shooutout. The material they use on the outside is very durable and feels very strong. The bottom is protected with the special Tenba rubber-like material. One of the points where cheaper brands tend to save money is the zippers. Tenba clearly didn’t do that. All the zippers they used seem to be bigger and stronger than they would need to be. They’ve used high quality YKK self-healing zippers, meaning they can be put back together if you still manage to rip them apart by stuffing to much gear in your bag. Let’s move to the inside of the bag. As you can see my modest set-up almost gets lost in the spacious interior. This bag is big enough to keep you GAS (Gear Acquiring Syndrome) satisfied. The depth of the compartment is more than big enough to hold a large DSLR, maybe even with a grip attached. My Sony A7 has got more than enough room to spare, and it may even be a tad too big. 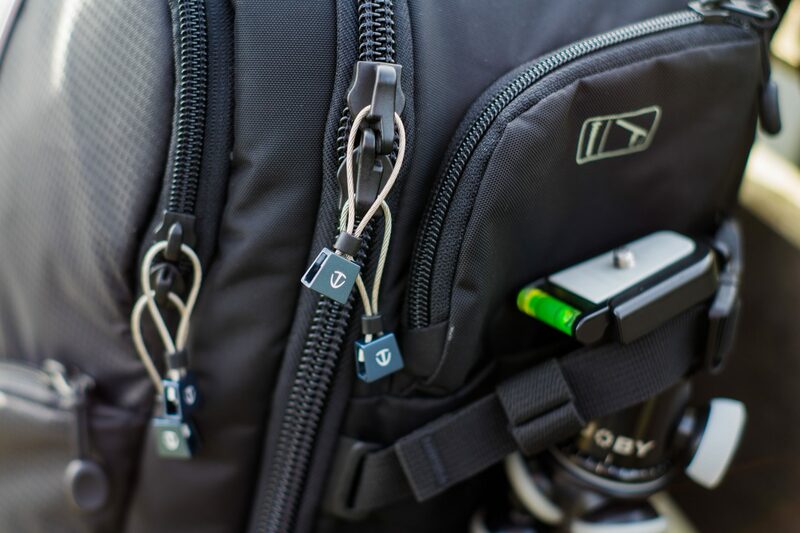 Tenba does supply the bag with a stretchy strap with small Velcro tabs on it to keep your camera in the right place. Like I said before, you can use the hatch on the left side to access the camera for getting it out of the bag easily. The inside with some of my gear in it. As you can see there are lots of dividers. As you can see Tenba doesn’t skimp on the number of supplied dividers, there are loads of them in different sizes and made of different materials. I’ve only used about half of them. Two of the longest dividers in the bag have a round cut-out designed to put a large tele-zoom lens through. This means you can easily adjust the bag to accommodate a large camera with a 300 mm f2.8 lens attached. If you don’t need the holes for the tele lenses you can use the other dividers to keep the holes plugged. As you can see I don’t need all the dividers to store my gear, so I have a large top compartment left over for personal stuff. In the photo you see my vintage Pentax ME-super filling in for my Sony A7, my Sony FE 28-70, Panagor 24mm, Minolta 135 f2.8, some extra dividers, and some miscellaneous stuff and there is still is more than enough room left. Walking around with the bag I really like that you can easily grab your camera from the bag without the need to open the big main compartment. Just sling the bag from you shoulder, zip open the hatch and shoot. This means you don’t have to expose your whole gear to the elements or prying eyes just to grab your camera. It also means you don’t have to put your bag down on the ground to get your camera out. This is my main gripe with some backpacks (like my Manfrotto), if your camera is stored safely it takes way too long to get it out. The hatch to grab your camera is big enough to get my A7 out with ease, and I think it is large enough for a big DSLR. One thing I don’t really like about the design of the Shootout is the fact that the main compartment opens from the front. I understand Tenba couldn’t prevent this because they chose to put the laptop compartment at the back, to keep the weight close to your body. This does however mean that you have to put the bag down on its back if you want to open it. If you don’t have a clean and dry surface to put the bag down your shoulder straps and the mesh on the back can get dirty, and if you put your bag back on your back your clothes will get dirty to. The other reason I don’t really like the main compartment opening from the front is the risk of theft. If you walk around in a crowded street it is hard to see or feel if someone is trying to open your bag. With a bag where the main compartment opens from the back you don’t have to worry about that. You can put a little lock on the zippers, as they do have a lock-hole. 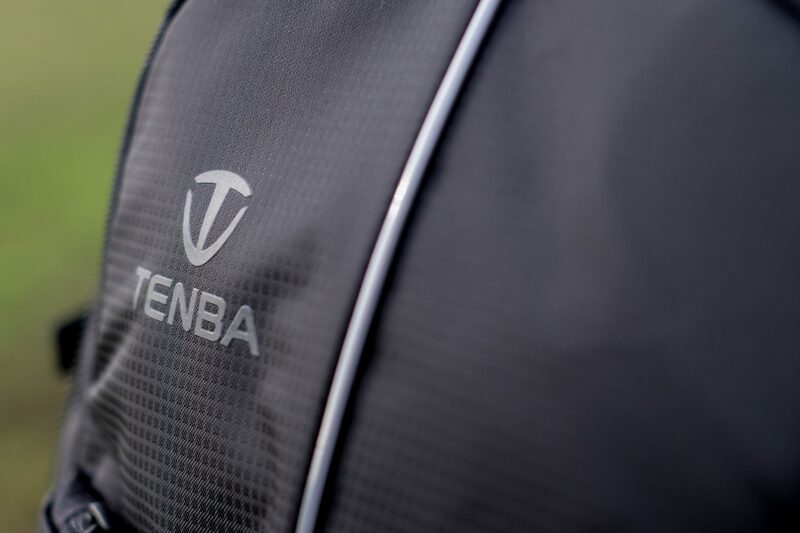 As you have read I really like the Tenba Shootout bag. It’s compact and light (when empty) but can still hold an impressive amount of gear. My gear seems to get lost in the big bag, so the bag may be a little big for my set up right now (or put differently: I’ve got my work cut out, finding new gear to put in it!). The Tenba is pricey, but built to a extremely high standard. 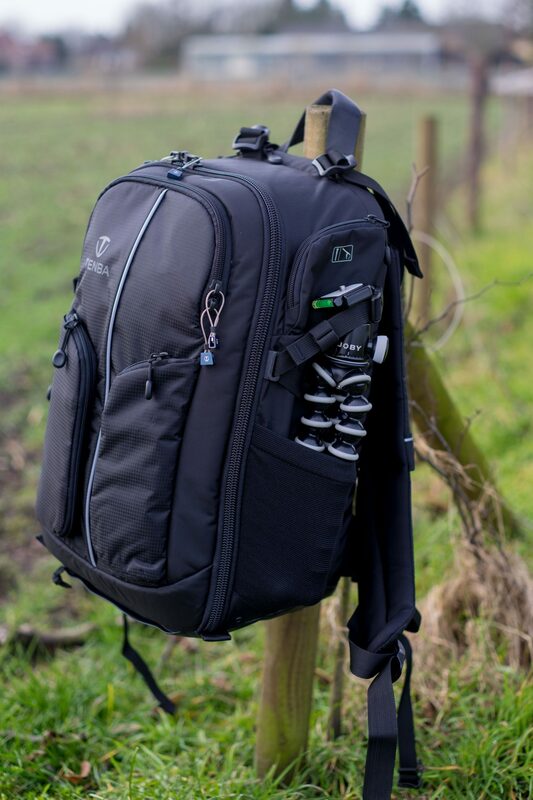 The Shootout 24L is a bag that will keep your gear safe for many years of intensive use. Doesn’t scream: I’m a photo bag! 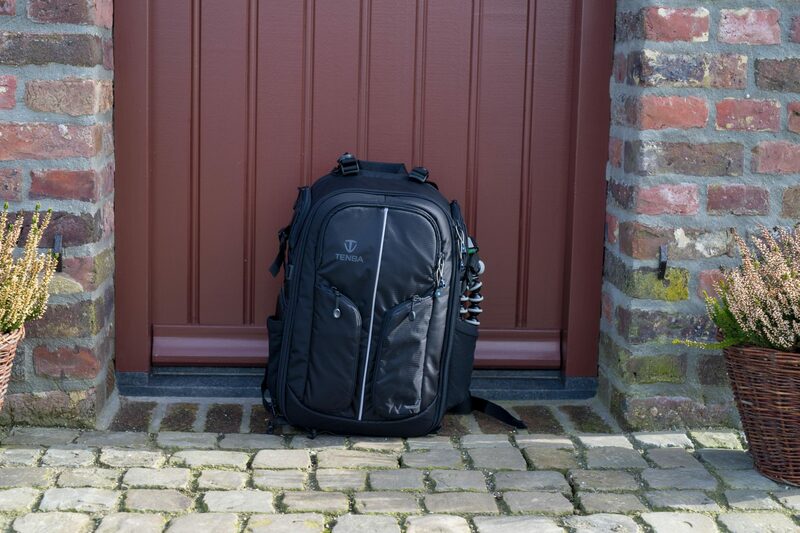 I’d like to thank Foto Video Retail, the importer of Mitakon, Benro, Tenba and several other brands for the Netherlands and Belgium for lending me the Tenab Shootout 24L for this review. Find out more about Foto Video Retail at www.fotovideoretail.nl or at www.tenba.nl. Hi there are you still using the tenba? I’ve had so many bags I liked at the beginning then realised they just weren’t right for me after some time. But this tenba seems to be ticking all the boxes, think I need to try one! A great review! No, I don’t have the Tenba Shootout 24L anymore. As you can read I loved this bag, but I thought it was a little big for my camera and gear. That’s why, after I had to send back the review sample, I didn’t buy the 24L but I chose to go for it’s little brother the Shootout 18L. That has got the same design, quality and comfort but is a little smaller (and it’s a little cheaper too). I’ll try to add some information about the Tenba Shootout 18L to the review soon. Anyway, I think you’ll like the Shootout bags, both the Shootout 18 L and 24 L impressed me. If you decide to buy one, please let me know what size you chose and what you think about it! Hi Rick thanks for getting back to me on the subject of the shootout, after going through 2 Lowe pro’s, tenba, kata, think tank, manfroto ,I’m loving my think tank turn style 20! It’s really impressive on how much it holds for a day shoot but its slightly unstable with being a sling bag, I really liked my last tenba but it was the wrong type of bag(shoulder bag), now waiting to sell my manfroto bumble bee 220l as its just monstrously big and far too heavy when empty ,my obsession on camera bags is a talking point with the dear Wife, so its time and a toss up between the latest greatly designed Lowe pro tactic or the more quality assured Tenba as the bag I’ve been looking for!I just wish I don’t need to hunt any more after this! Regards. Jonathan.